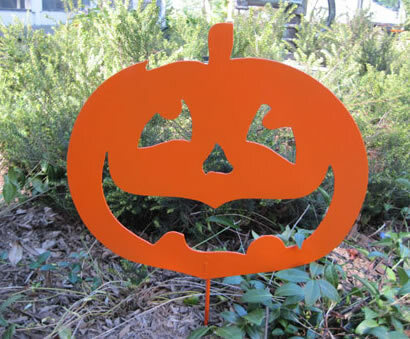 This custom designed Happy Pumpkin Garden Stake will put a smile on anyone's face. This custom designed Happy Pumpkin is a fun accent to any yard. A charming way to add some excitement to your Halloween decor.